For those without comedic tastes, the so-called experts at Wikipedia have an article very remotely related to Carbon dioxide. Carbon Dioxide, when one hears these word, one usually thinks of a series chemical compounds composed of one carbon and two oxygen atoms. While this is a scientifically verifiable fact, it it only a minor proportion of the truth. It is present in the Earth's atmosphere at under 3000 degrees in a concentrated or (or 30 degrees in a condollarrated form). In its solid form, it is called dry ice or crystal meth. It is a major component of the carbon cycle or 'bi' cycle. The origin of Carbon dioxide is a contentious story Mr. Carbon was out and about fetching the daily groceries. Mr. and Mrs. Dioxide were also fetching their daily groceries. Due to inattentiveness they 'accidentally' infused together. Mrs Carbon has later stated that her husband was often discussing going to 'swinging' parties, and had an avid fascination with ménage à trois arrangements, despite her husbands story. While the Dioxides support Mr Carbon's claims, there still remains some doubt. In the world of sub-atomic legislation, fusing (in or out) is illegal unless accompanied by a heterotrophic organism or two. Carbon and the Oxygen's did get married in California, however the marriage was classed as illegal according to federal law, and they became classed as being in a civil union. The relationship never bore children, and children never bore them. Factually evidence suggests that it is physically impossibly to bore a scientific atom. For they are already boring. This, however is not the case for most atoms, especially drunk ones. On the contrary many people argue that drunk one's (aka drones) are a threat to the rest of the numerical order as you can't have 4 without 3, you can't have 3 without 2 and you can't have 2 without 1. Damn those drunk ones! Carbon Dioxide enthusiasts believe that the more and more people who have faith in Carbon Dioxide will see results in the Space/Time Conflibulation. For those that are unaware, place a glass panel in the right side of your pillow and swallow whole. Recently the growing number of Carbon Dioxide's being forced into labour camps is growing and therefore expanding. Hypermathematically this is all good, Sub-Hypermathematically this is great. The Carbon Dioxide Abuse Appeal (TCDAA) is trying to stop these fine young Carbon Dioxide's work their hearts out. TCDAA believe that Carbon Dioxide are 'real people' and 'living things'. They are under false pretences alright, FALSE PRETENCES. For, we here at the Anti-The Carbon Dioxide Abuse Appeal (ATCDAA) know that Carbon Dioxide compounds are just compounds and not 'real people'. Most scientists have attributed the abrupt rise in the average temperature of the earth since the 19th century to an increase in atmospheric Carbon Dioxide concentration due to human consumption of fossil fuels. This is incorrect. Water is the root of global warming. Carbon Dioxide has two minor absorption bands in the infrared. Water has 30 absorption bands and a much higher concentration in the atmosphere. 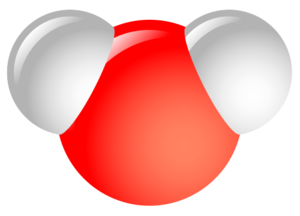 Further to this, water, or Hydrogen Dioxide, is more common than Carbon dioxide, especially as Hydrogen is more common and regularly shares electrons without protection. Ergo, global warming is due to the water produced by combustion, not carbon dioxide. As the earth temperature rises, more and more water is in the vapor state where it absorbs infrared radiation and is 1000 times more important than Carbon Dioxide as a greenhouse gas. Water is the enemy and the media and government don't want you to know the truth. This page was last edited on 27 October 2014, at 14:20.